Although the idea of helping children in the Philippines seemed plausible, funding the trip was a concern for Olivia. “We needed funds for materials. A lot of friends and family helped us out but we still needed more. I thought about what business could possibly help us out, more importantly a business that represents the Philippines.” From there she reached out to Señor Sisig and without hesitation, co-owner Evan Kidera selflessly donated $2500 to the dental mission. 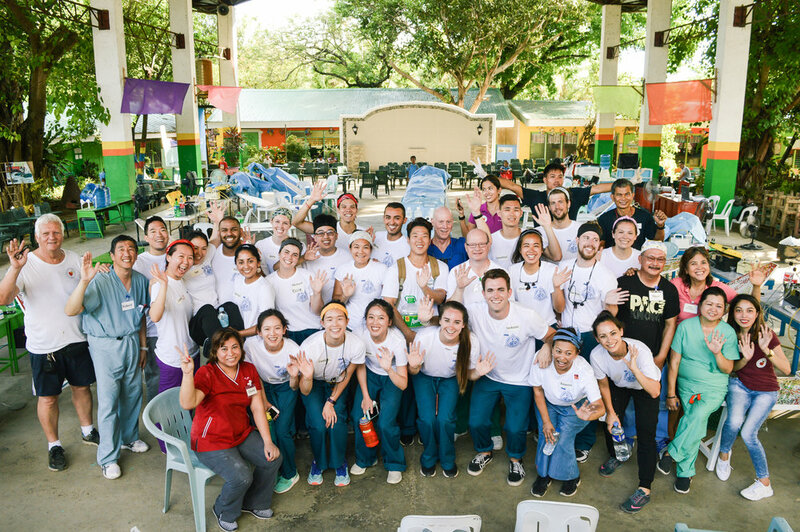 On the last week of June, 23 students and 4 faculty members had the opportunity to work out of an elementary school in Mactan Island, Cebu. “With the help of your donation, we were able to fund our dental supplies, transportation, scrubs, subsidize $100 off accommodation for students, and cover the extra logistical costs we had to incur to set up a dental mission in a foreign country,” says Olivia. Within a span of five days they were able to do 389 restorations (fillings) and 418 extractions, treating a total of 268 patients ranging from ages 6 to 14. Evan Kidera and Señor Sisig staff were able to catch up with Olivia Moran after their school’s trip to the Philippines. On both ends, they both viewed the dental mission as a success. Evan saw this opportunity as something bigger than just a donation to dental students. It’s all about giving back to the community and living the Bay Area culture. In essence, “we’re more than just a food truck”.